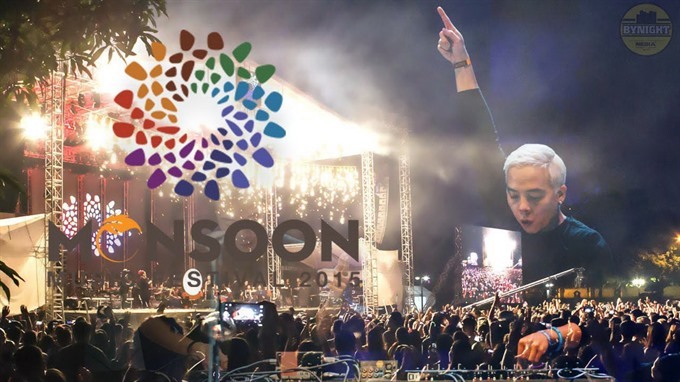 Tis’ time to rock: The third Monsoon Music Festival held in Hà Nội last year. — VNS File Photo. HÀ NỘI — The fourth Monsoon Music Festival will return to the capital on November 11 and 12. This is for the fourth year that the festival is returning to the scenic Thăng Long Imperial Citadel with its seemingly endless grass fields dotted with a line of old trees in the distance and the ancient Hà Nội Flag Tower on the horizon. Compared to drinking beer at a local pub, enjoying beer at a music festival can be a whole different experience. Lines of large tents packed with dancing music lovers, singers from all over the world on a massive stage with songs as amazing as the cold glass of beer in one’s hand and thousands of glittering arms waving in the air are parts of that experience.